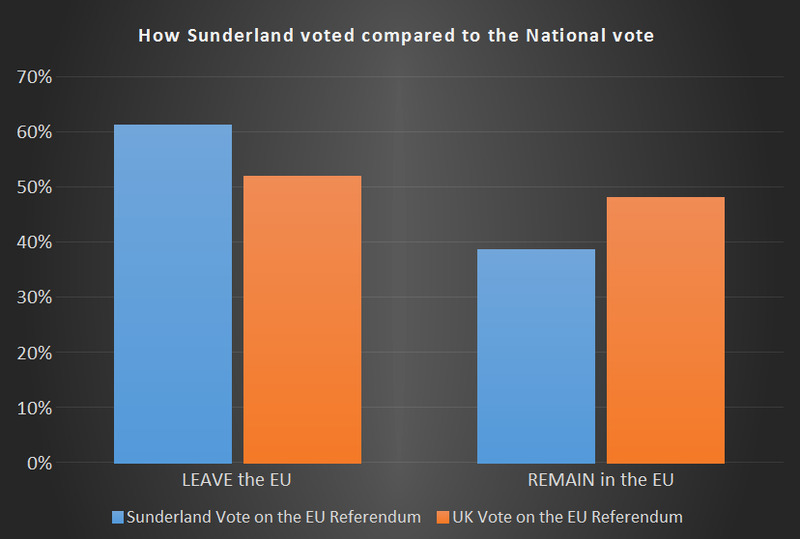 Sunderland Property Blog: 61.3% of Sunderland Voters Voted to Leave the EU - What Now for Sunderland Landlords & Homeowners? 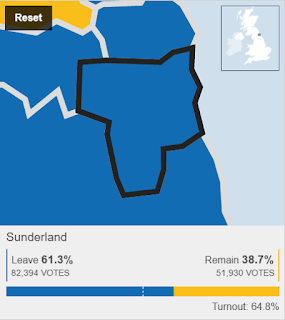 61.3% of Sunderland Voters Voted to Leave the EU - What Now for Sunderland Landlords & Homeowners? As most of the polls suggested a Remain Vote, it came as a surprise to most people, including the City. The Pound has dropped 8% this morning after the City Whiz kids got their predictions wrong and MP’s from the Remain camp are using words like “challenging times ahead”. Now the decision has been made...what next for the 71,556 Sunderland homeowners - especially the 39,147 of those Sunderland homeowners with a mortgage? Sunderland property values, which have been flat for the past 4 years, may drop a little in the coming 12 to 18 months – but by 18%!? In fact they have been printing money (Quantitative Easing) for the last few years (which causes inflation) to the tune of £375bn a month. A bit of inflation because the pound has slipped on the money markets (not too much mind you) might be a good thing? Whilst property values might drop in the country, they will bounce back. It’s only a paper loss because it only becomes real if you sell. And if you have to sell, as most people move up market when they sell, whilst your property might have dropped by 5% or 10%, the one you want to buy would have dropped by the same 5% to 10%...and here is the best part...you would actually be better off because the more expensive property you would be purchasing would have come down in value (in actual pound notes) by more than the one you are selling! Buy to let is a long term investment. I think there might even be some buy to let bargains in the coming months as some people, irrespective of the evidence, or sound logic choose to PANIC!!!!! Well, there are many challenges ahead. The country has spoken and we are now in unchartered territory – but we have been through a couple of World Wars, an Oil Crisis, Black Monday, Black Wednesday, 15% interest rates and a Credit Crunch…and we survived!